The Anaerobic Digester (AD) System Enterprise Budget Calculator is intended for dairy owners, AD system industry experts, and AD researchers to be able to easily calculate the economic value of investment under a variety of technology and price scenarios for an AD system. The budget calculator includes options for anaerobic digestion, codigestion, compressed natural gas, combined heat and power, environmental credits, fiber solids separation, phosphorous solids separation, struvite precipitation, ammonium sulfate recovery, and water ultra-filtration/reverse osmosis. When you open the budget calculator, Excel will issue a security prompt asking if you want to Enable Macros. You must click “Enable Macros” for the budget calculator to function. The user can make two types of changes: checking and un-checking technology options or typing alternative values into editable cells. Editable cells appear recessed and have grey text. These changes allow you to tailor the calculations to the specific technology options you are interested in—alone or in combination—and to adjust prices of inputs and outputs as well as physical parameters like the rate of biogas production. We suggest that after opening the workbook, you save a working copy that you can make changes to and save as a specific scenario. Revert back to the original copy to establish unchanged values again. 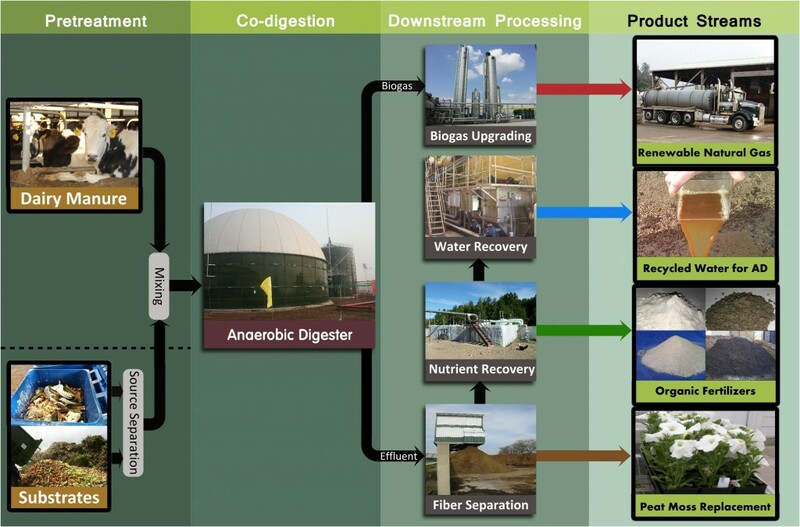 Our Anaerobic Digestion topic page has additional publications about anaerobic digestion systems and supporting technologies.